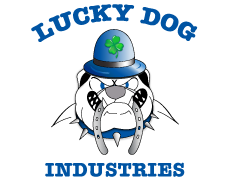 Since 1998 Lucky Dog has built a reputation of professionalism and integrity second to none. Our customers value our geographical expertise, fleet reliability and “Hands On” customer service. We’re dedicated to providing superior service backed by our clean, highly maintained modern fleet outfitted with the latest GPS and communication technologies. This means your waste and hauled products are delivered in the most economic and efficient way possible. Learn More about our Electronic Dispatching & Routing. Contact us and let’s discuss how we can help your company transport your waste and hauling needs. We haul for clients including large corporate waste disposal companies and municipal governments. We pride ourselves on our employees, efficient operations, quality customer service, and our excellent safety record.